Sturdy, Reliable and Powerful. Eden 159 pump combine the reliability of permanent magnet, synchronous motors and the most advanced technological materials by using for instance seamless-coated rare earths magnets to give the highest and most efficient performance and the absence of wear on moving parts. Thermal protection prevents the motor from overheating. 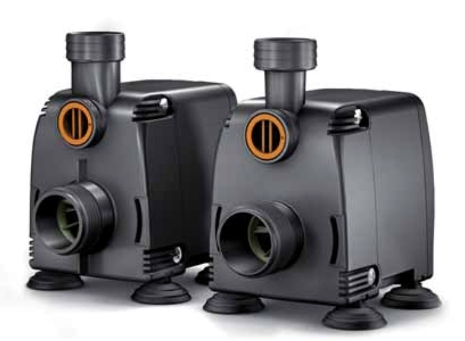 Ideal for external and submersed use in aquaria, ponds, fountains and in many industrial applications. 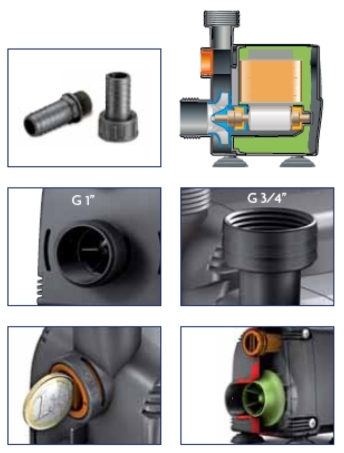 Eden 159 pumps come supplied with 1” and 3/4” adapters for easy hose connection. Eden 159 pumps are equipped with a flow control device built into the hydraulic circuit to enable the flow to be adjusted if the pump is used either externally or submersed. Thanks for your interest in Skimz products. Janet will follow up with you. Can you show me your price? And if I live in Việt Nam, can you ship it to Việt Nam for me, please?